When advocates stop fighting for wild horses and burros to remain really free in large numbers on public land put aside by Congress for their principal but not exclusive use, then we have a problem. When advocates go along with BLM’s overpopulation myth and their agenda for “fertility control” we have a problem. 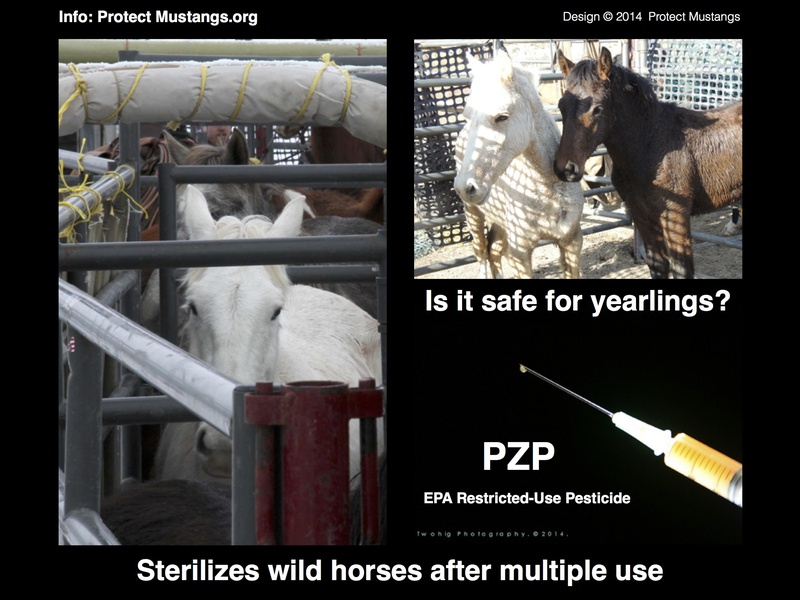 When the advocacy is divided over forced drugging wild mares with Pesticide PZP, as defined by the EPA, we have a problem. 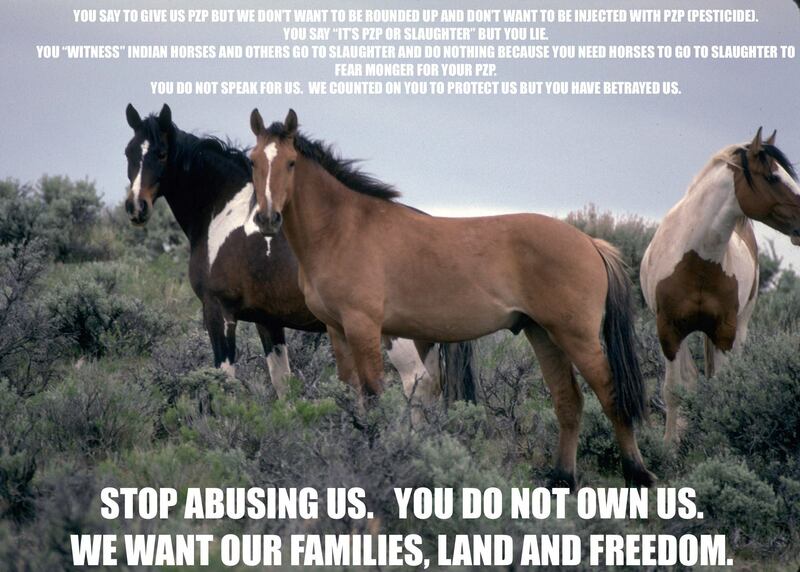 Now wild horse haters and special interest groups are gaining ground in Washington with YOUR elected officials! Are YOUR senators and congress people representing your voice in government or are they representing Dirty Money? 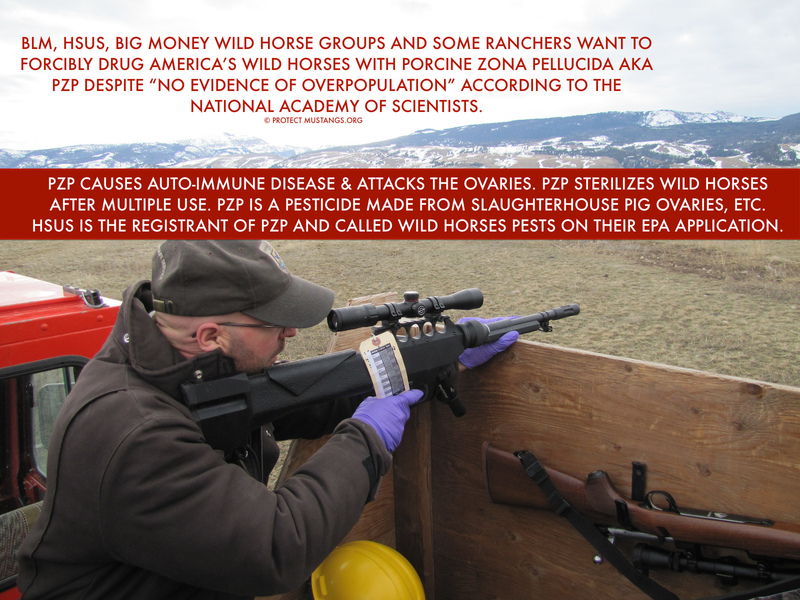 Never underestimate the Pandora’s Box known as PZP and other methods used to manage underpopulated wild horses to EXTINCTION. American wild horses & burros have the right to be an essential part of the thriving natural ecological system on public lands! Contact your elected officials today! Senators are in office until July 1: http://www.contactingthecongress.org/ ASK that they stop the assault on wild horses and PROTECT them! Take action against the war on wild horses by contacting your congressional representative today. Request an immediate moratorium on roundups before the herds are wiped out and symbols of the American spirit are trafficked to slaughter. The evidence is in they are being sold to slaughter violating the public trust and the news story is going viral. Please sign and share the petition to increase the fine for trafficking a wild horse to slaughter to $50,000. 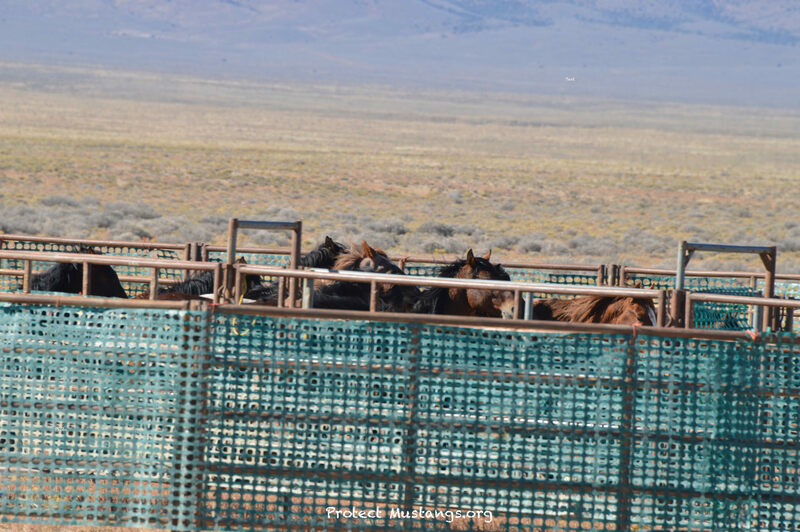 Since kill buyers are motivated by profit, the fines need to increase to make buying wild horses and selling them to slaughter a risky and unprofitable business. The BLM has plans to sterilize herds to manage them to extinction. This is a gross violation of the Wild Horse & Burro Protection Act and must be stopped. How? We need to start rallying to raise public awareness, write letters and meet with elected officials to demand the BLM stop managing wild horses to extinction. The clock is ticking . . .
America’s wild horses are an indigenous species that must be protected to fill their niche in the ecosystem and inspire future generations with their beauty and spirit. Take action today! 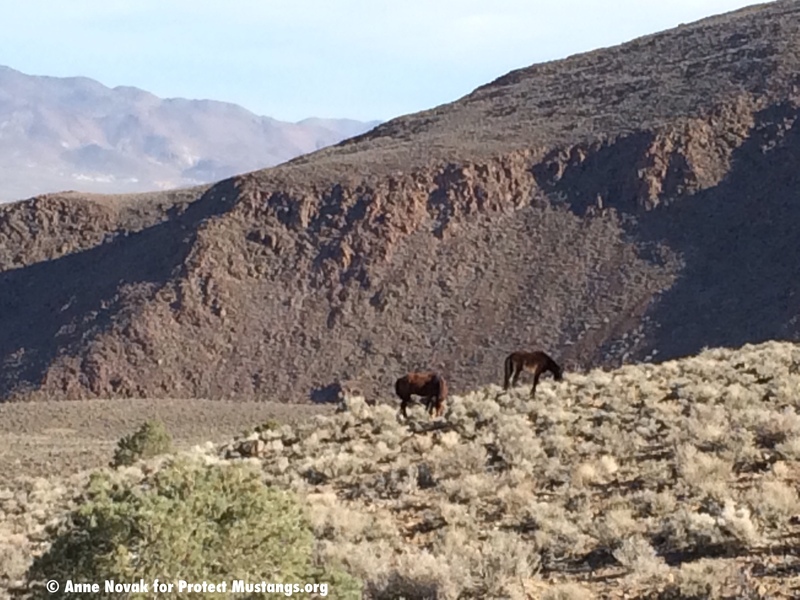 Media placement spins wild horses as scary pests to push PZP at upcoming BLM meeting? (CNN)The Rolling Stones sang about them, and Ford named its most iconic sports car after them. Their numbers are increasing, yet mustangs are among the ever-growing list of animals being eclipsed by the modern world. That’s the view of Dutch artist Charlotte Dumas, who holds a particular fascination with the wild horses that populate the western U.S., together with the overall roles that animals play in society. From her observations, much of the world’s attention when it comes to animals either fixates on pets, which she says are “put on a pedestal, almost to excess,” or those consumed as part of the giant produce industry. “And then there is a big midsection that completely disappeared,” she says. Dumas, 37, uses her medium of undirected portrait photography to humanize a largely anonymous subset of the animal population. She avoids zooms, taking photos only with portrait lenses that force her to get up close and personal with the animals — even when those subjects are wolves, wild dogs and tigers (she was safely behind a fence for the tigers). Her two most recent bodies of work were recently on display at The Photographer’s Gallery in London. For “The Widest Prairies,” Dumas shadowed the mustangs from a trailer in Dayton, Nevada, while “Anima” is a video montage of military horses falling asleep in the stables of Arlington National Cemetery. “Those horses make for a more appealing subject simply because they are more realistic of how most horses live, rather than in a very artificial habitat (catered to) horses that we might see in the Olympics,” says Dr. Thomas Witte, lecturer in equine surgery at the Royal Veterinary College in London. Both projects required multiple trips from New York, where Dumas was living at the time, and countless hours behind the lens. Dumas believes taking her time is essential in order to catch the subjects in a relaxed and natural state. The 12-minute film “Anima” was compiled from footage shot over the course of 15 nights, usually from midnight until 4 a.m.
A press officer from the cemetery was assigned to accompany her during the overnights, shuffling back and forth between the stables and alerting Dumas when a horse was nodding off. “I felt really guilty in the beginning because he had to be there for all these insane hours, but he didn’t mind at all,” she says. The time spent allowed her to present a behind-the-scenes look at the working life of a regal animal. Known as caisson burial horses, the likes of Major and Ringo lead the procession for honored deceased servicemen up to eight times a day. Tens of thousands of tourists go on African safari every year. Many will see the continent most beautiful beasts from the safety of a four-wheel drive vehicle, but some brave the bush on the four legs of a horse. Witte points to an old adage in the veterinary world: that 10% of the world’s equine population receives 90% of the veterinary care. “All those equids that are doing the grunt work and supporting their human families in developing parts of the world — the mules and donkeys — they get very little in the way of veterinary care and very little in the way of attention,” he says. After such an intimate project, Dumas decided to profile the exact opposite type of horse for her followup — one with almost no human interaction or discipline. Dumas spent nights in a trailer loaned by a wild horse preservationist in Nevada. The topic is controversial, since the free-roaming horses (numbering 40,815 throughout 10 states) can overpopulate and encroach on residential areas. “They keep coming closer and closer to civilization because there is no food on the hills anymore. So (there is a question of) who’s infringing on who,” she explains. Witte notes that overpopulation can lead to a spread of diseases between species. “Wherever you have that interface between human population and animal population, you’ve got to do something to control the situation; that is for animal welfare as much as it is for human convenience,” he says. There are a further 16,203 horses up for adoption in holding shelters, and another 31,250 in long-term pastures. All the horses fall under the care of the Bureau of Land Management and are protected under the Wild Free-Roaming Horses and Burros Act of 1971. On a gamble, Dumas took to the mountains of Nevada and befriended a local watcher who put her up in her trailer. After studying the horses up close, Dumas decided to return months later — and noticed how their personalities had changed. Oddly, the more time she spent in the mustangs’ proximity, the less comfortable she became. Dumas’ other projects have profiled the retired search and rescue dogs of 9/11 (only one was reportedly still alive in 2014, 13 years after the World Trade Center attacks) and stray dogs in Palermo, Italy, along with tigers and wolves living in animal sanctuaries. “They have so much power,” she says, recalling her nervousness around the tigers, “and when you see them up close they are so much bigger.” The tigers were shot at an eccentric private animal park in Texas that housed over 250 wild cats, while the wolves were photographed at a preserve in Colorado and in upstate New York. Now back in Amsterdam, Dumas is focusing on her next projects: the logging horses of Lapland, Sweden, along with the eight native horse breeds of Japan, which she says are in danger of extinction. Each series is part of a collective calling, to preserve a lasting image of a place in time for an unheralded group of animals that may not be around forever. 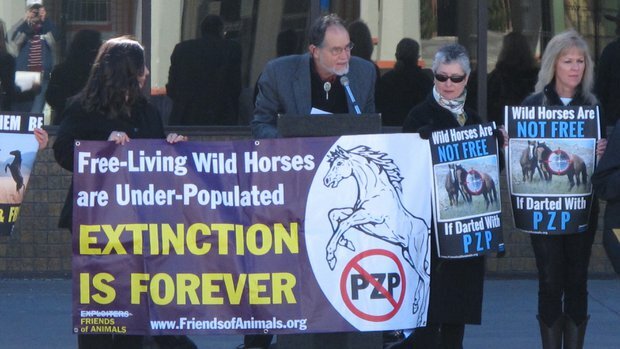 Is this CNN article another subliminal push for the registrant of PZP (The Humane Society of the United States) to take over wild horse and burro management based on using PZP? Besides lobbying, are they buying media placements through PR firms too?